Windows 7 and Windows 8.1 users have been happily using 64-bit beta version of the Chrome for the past two months, and now OS X users can download their own beta version 64-bit web browser. 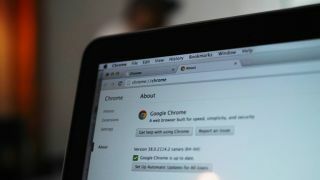 Google has quietly swapped out the developer-focused version of Chrome Canary to a 64-bit version anyone can download. As with the Windows version users can expect a slight speed increase now that the application is better optimized to work with 64-bit processors. Also improved ASLR support coupled with better heap partitioning should add an extra dash of security. But for now we wouldn't suggest managing your finances or looking at any sensitive materials with this yet-to-be finalized browser for now. While the experimental browser is available for anyone daring enough to use it, Google strongly warns users the application can "sometimes break down completely" as it has been designed for developers and early adopters. Ultimately it's a good sign there's a 64-bit version of Chrome rolling out at all as it will lead to more finalized beta and stable releases that will be more reliable for everyone to use. The search company launched its 64-bit browser into developer and Canary channels for Microsoft's operating systems. After that Google eventually released the experimental build onto its beta channel for adventurous users several weeks later on July 30. Stay tuned to this space as we will post more news when stable versions hit the net.